The second part of our Hall of Fame spotlight on Frank Sinatra's legendary career features more audio interviews and highlights from Sinatra and the friends and family who knew him best -- including John F. Kennedy, Paul Anka and songwriter Sammy Cahn, among others. 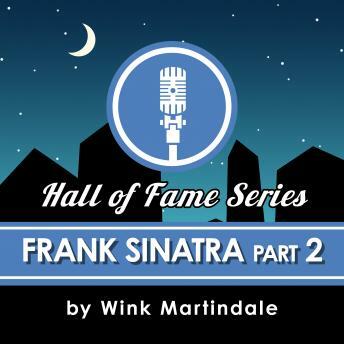 Host Wink Martindale explores the stories behind some of the classic songs in the Sinatra catalog, including "Three Coins In The Fountain," a hit record for Sinatra that went to the top of the charts in the U.K. in 1954. In that same year, the Four Aces and Dinah Shore would also record their own very successful versions of the track. Hear the fascinating story of how the song that Sinatra thought was only a demo recording became a huge hit, one that would win a very prestigious award.